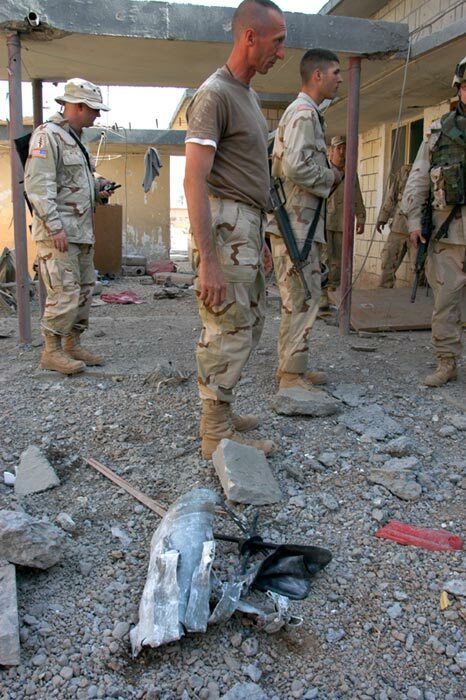 What you see above is what's left of a 107mm rocket after impact and detonation. This one hit in the middle of the day, a direct impact on a building. This piece ended up inside the room, and somebody carried it out and threw it on the ground. The rest of the rocket turned into fragments that sprayed the inside of the room and the outside of the courtyard.